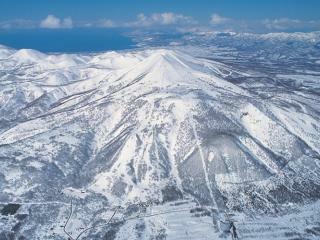 Know Before You Go - Japan Ski | When is The Best Time to Go? There’s a lot to think about when it comes to Japan ski holidays, particularly when you consider that you’re going to be visiting a foreign country where they speak a foreign language, and you’re also going to be participating in a physical activity that could also be quite foreign to you. However it’s Japan’s unique culture that makes ski holidays here so special and also very popular, along with some of the best skiing and snowboarding conditions in the world. 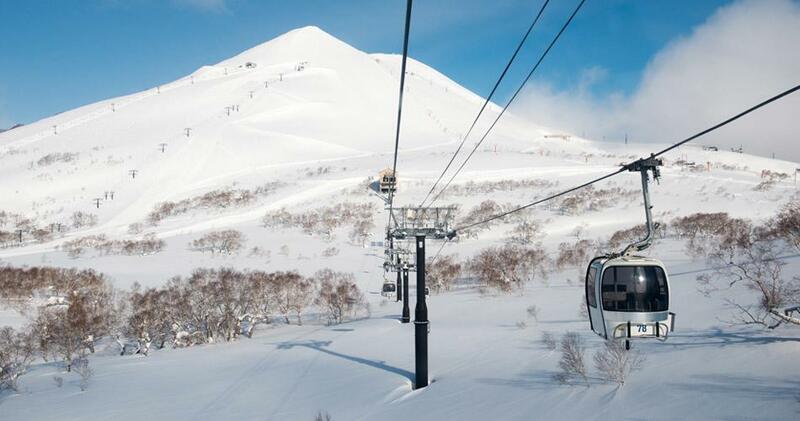 The best time to go skiing in Japan depends on which ski field you’ll be visiting, however the ski season overall runs from late December to March and as late as May in some areas. 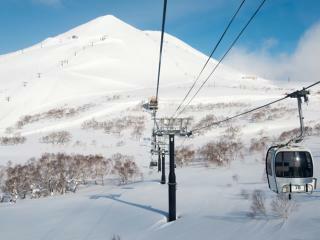 January to February is generally the best time to go skiing in Hakuba as this is when the region receives its best powder snow. Despite also being the busiest time on the slopes, most visitors are pleasantly surprised by the lack of queues for lifts. 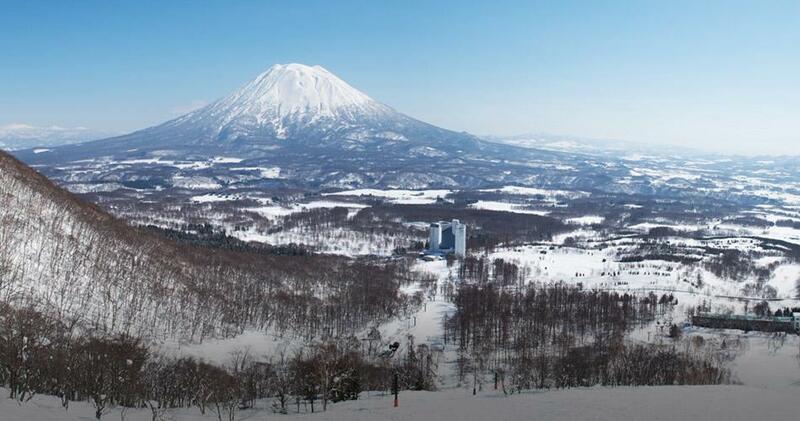 The Niseko snow report puts January and February as the most popular times to visit however mid-February to the end of March also offers an excellent base of snow along with more sunny days and is ideal for families as prices drop but skiing and nightlife is still plentiful. It’s really up to you how long you think you’ll need to fully experience the Japan ski slopes; however the average Japan ski holiday lasts for a week to two weeks. You may prefer to go for a little longer if you’ve never skied before, just to give yourself plenty of time to get the hang of it then really hit the slopes. If you’re an experienced skier, you may enjoy a longer ski holiday and make the most of it by visiting more than one ski field. However it’s important to keep in mind the physical toll skiing takes on your body and ensure you leave enough time for some down time days to recover and see some of the sights. 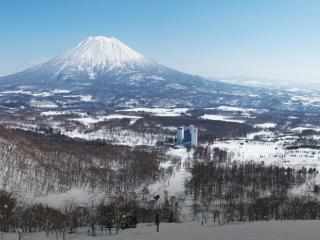 You might also like to combine your ski holiday with a stopover in Tokyo. Short answer – yes. While not everyone you encounter during your Japan ski holiday will be fluent in English, most Japanese people can understand and speak basic English and will try to help you as much as possible. When it comes to instructors at the ski resorts, there are plenty of English-speaking instructors and staff throughout the resorts and ski fields that have a much better grasp on the English language. Will I be able to learn to ski? 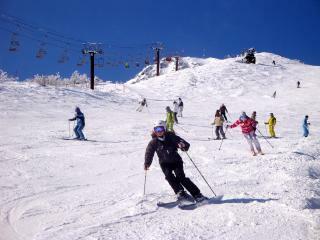 There are ski schools available for all ages and skill levels at all Japan ski fields. The friendly instructors will help you to feel confident in no time, even if you’ve never strapped on skis before. Ski lessons are available in groups or one-on-one and can be booked through your resort or at the ski fields. However TravelOnline takes no responsibility for your coordination, or lack thereof. Yes. Absolutely. If you’ve never skied before, prepare to look like a baby giraffe learning to walk. There will be legs and arms everywhere, and it’s highly unlikely you will remain upright the entire time. In saying that, that’s half the fun of a ski holiday! Learning to ski can be just as much fun as conquering the slopes themselves and with practice and perseverance, you’ll be hitting the ski runs with confidence in no time. Warm clothes are obviously a must, but there’s no need to worry about lugging skis, snowboards and other gear on the plane with you. It’s much easier to hire gear when you get there and most resorts and ski fields offer gear hire for a reasonable rate. If you’re an advanced skier and have your favourite gear that you simply can’t ski without, snow sports equipment can be included as part of your checked baggage under ‘bulky items’. Simply add the required additional checked baggage allowance at time of booking. There are some smaller items which you may wish to take with you, even if you’re a first time skier, including waterproof gloves, jackets, beanies, ear muffs and even goggles. Although these items are available for hire, many people enjoy having their own preferred brand and perfect fit and these items can easily fit into your suitcase. Many of the ski resorts feature their own onsite restaurants and dining options and there are also a number of convenience stores dotted throughout the village for visitors staying in self-catering accommodation. The alpine villages are a hive of activity throughout the ski season and there are a wide range of bars and restaurants located in the main street. With less self-catering options than some of Japan’s other popular ski resorts, you’ll get to know Hakuba restaurants quite well throughout your holiday. Niseko restaurants are also a great way to relax after a big day on the slopes, and going out in the village at the end of the day is a great way to make new friends. 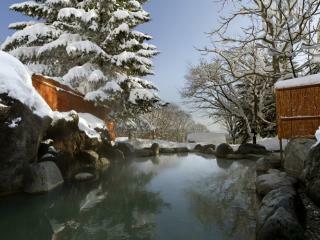 After a few days on the slopes, you’ll probably be looking for some downtime to relax and rest your muscles. 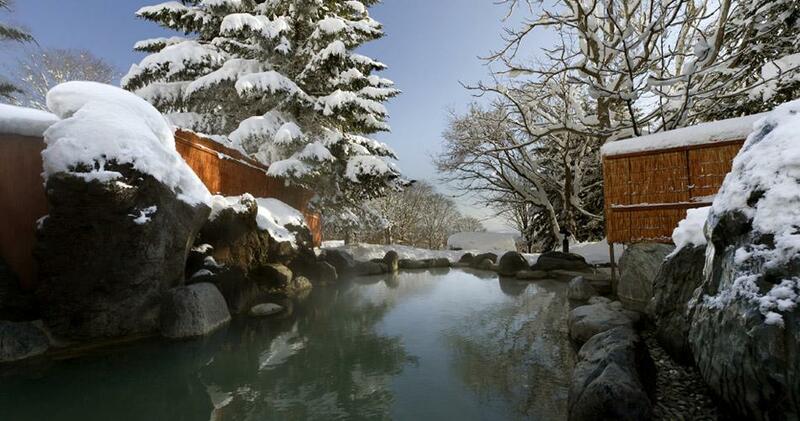 A great way to do this is to experience the traditional Japanese onsens, natural mineral hot springs. Other ways to take in Japan’s history and culture include sake tasting, origami folding, tea ceremonies, samurai evenings and more. Attractions in Hakuba include the snow monkeys of Jigokudani Monkey Park, the national treasure of Nagano Zenkoji Temple and the unique ‘crow castle’ of Matsumoto Castle. 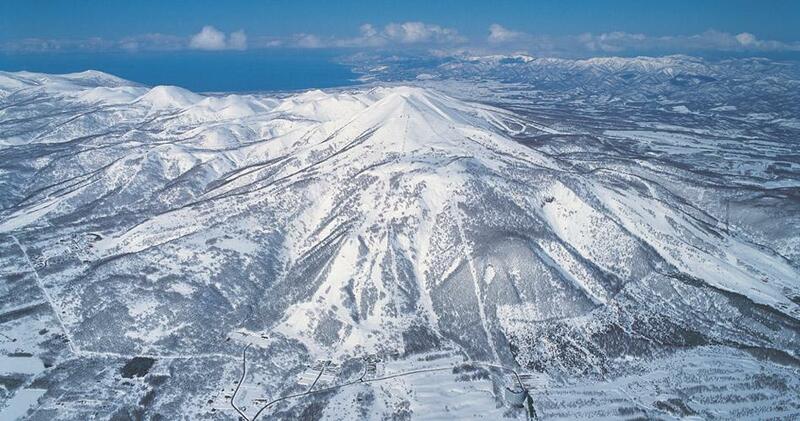 Niseko attractions can be seen on some great day trips including the seaside town of Otaru and the volcanic caldera lake and active volcano of Lake Toya and Mount Usu. Some resorts offer ATMs onsite and most resorts accept credit cards for incidentals and onsite services such as dining, gear hire and lift passes. However, Japan is a largely cash-based economy and most shops, bars, cafes and restaurants prefer cash. It’s a good idea to go prepared with plenty of cash, and check the facilities of your accommodation provider to see whether ATMs are available onsite. Many of the resorts offer WiFi internet access which you can connect to on your own device, however if you wish to have mobile phone coverage and internet access on your device using your current plan, you will need to contact your service provider for specific details on what is and isn’t available. When it comes to charging your device, Japan uses a two-pin, 100 volt electrical plug similar to the USA. Australian visitors to Japan will need to purchase an adapter in order to use electrical devices. Heck yeah you do! You should always take out travel insurance on any overseas holiday; however it’s particularly important on a ski holiday. Regardless of whether you’re a seasoned skier or a first timer, accidents can happen and it’s important you’re covered for all eventualities. Whether it’s lost or damaged gear or just a nasty fall, travel insurance means you’re covered and won’t be out of pocket for expensive international medical bills. The old saying rings true, if you can’t afford travel insurance you can’t afford to travel. Be sure to ask your travel consultant about the different levels of cover and carefully read the PDS to ensure you’re covered specifically for snow sports.